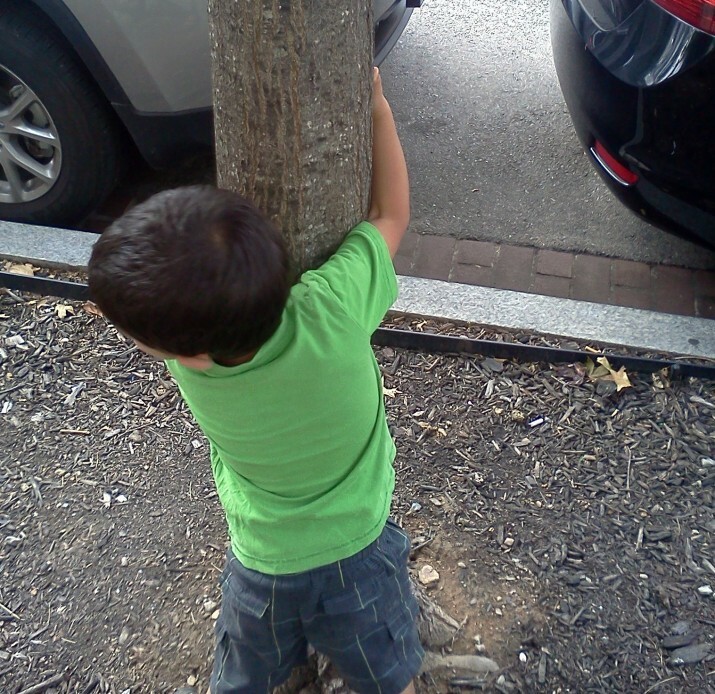 Raising an Ecowarrior » My Son is a Treehugger. Literally. 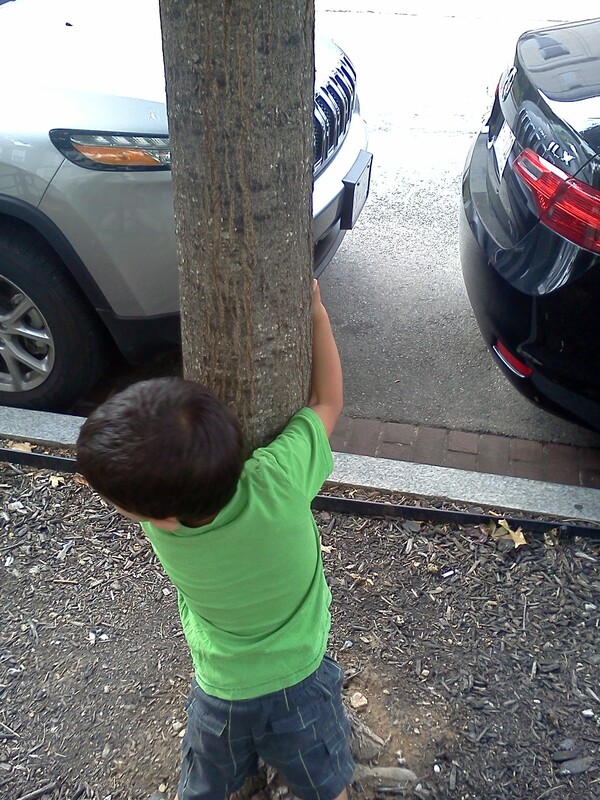 My Son is a Treehugger. Literally. 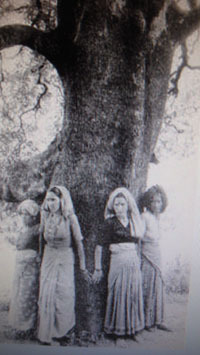 But his mother and I certainly haven’t encouraged him to hug any trees, nor has his Uncle Ty or Aunt Rita—the other two adults Ayhan sees regularly. So where did that impulse come from? I don’t even know of any books we’ve read where people hug a tree. The closest we’ve come is a ridiculous book Paper Crunch, designed to encourage 3rd graders to recycle paper and that has somehow captivated Ayhan. “WAIT! Don’t throw away that piece of paper. Do you know where that paper comes from?” Lots of trees in that book—many felled and in depressingly large piles—but not a single picture of someone embracing one. So what explains my son’s tree hugging? Is it an innate connection to other species? Children’s senses are stronger than ours. Perhaps he smells or hears or feels something more than we do when he passes by a tree? Is it an extrapolation? My son likes trees, we interact with them often (I pass his head through the leaves when I carry him along the streets—much to his amusement—and this summer we’ve been gleaning cherries, peaches, and apples from street trees). So does he feel a camaderie, thus expressed with a hug and a kiss just as with the humans he cares about? Or is it just a coincidental behavior that has become stronger through conditioning? I admit I expressed a positive reaction when I saw Ayhan hug a tree the first time and times since. How could I not!?! Whatever the case, the good new is he’s already a tree hugger. Now I just need to make sure he grows up to understand the deep importance of keeping those trees safe—just as the original tree huggers did, those who hugged trees in the Chipko movement in India to prevent loggers from cutting down those trees, putting their own bodies in the way of the chain saws.